Harvard University Press, 9780674308091, 550pp. 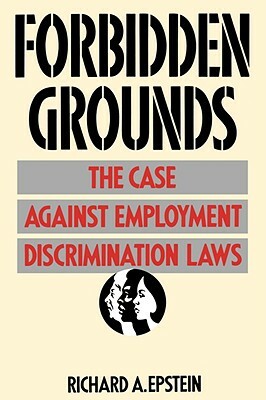 This timely and controversial book presents powerful theoretical and empirical arguments for the repeal of the anti-discrimination laws within the workplace. Richard Epstein demonstrates that these laws set one group against another, impose limits on freedom of choice, unleash bureaucratic excesses, mandate inefficient employment practices, and cause far more invidious discrimination than they prevent. Epstein urges a return to the now-rejected common law principles of individual autonomy that permit all persons to improve their position through trade, contract, and bargain, free of government constraint.